The Soldier, the Sailor and the Singer. A collaboration by Donald O. Burling a USNR Commander and Recording Artist Dodie Frost. 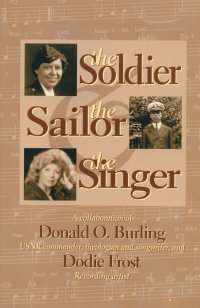 Published by Freesong Publishing of Venice, Fla., This book tells the story of Donald Burling, his wife Jennie, and professional singer Dodie Frost, who turned some of Burling's verses into songs. Fingerlakes Times, Geneva, NY. Sunday December 9th. 2001. Born in New London, Conn., Burling moved to New York City's East Side with his mother when his parents separated. In sixth grade, he was accepted into a church run co-operative school in Maine, where he stayed until his mother pulled him out at the end of his sophomore year because she needed him to help support the family at home. Although he never finished high school, Burling won an appointment to the U.S. Naval Academy in Annapolis, Md., after WW1 when academy officials offered 100 appointments for enlisted men who could pass a special entrance exam. The going was tough the first year because of his lack of formal education, but Burling worked hard and graduated in June 1925 in the top 12% of his class. President Calvin Coolidge addressed the graduating class and handed Burling his diploma. In 1926 he entered the Naval Reserves. He was called to active duty and accepted his commission in October 1940, a year before the attack on Pearl Harbour. He was assigned to the USS West Point, whose mission was to ferry British and Canadian troops to various parts of the world. The ship was two days out of Cape Town, South Africa, when news of the attack on Pearl Harbour came. Burling remembers unloading 20,000 troops in Singapore and docking near a power station, which he thought was a dangerous spot. His ship never got hit, but the ship next to theirs "had her entire bow blown off." In "The Soldier, the Sailor and the Singer," Burling tells how he later found out that "the Japanese Commander had a gentlemen's agreement that the Japanese would not bomb the power station. They agreed for it to go to the winner intact." Burling also used his time aboard ship during the war to "survey for a future wife." Two companies of Army nurses were onboard, and Burling-a real ladies` man-dated women from both companies. He kept a notebook with their names, addresses and, where possible, phone numbers. After the war, he married Jennie Calhoon, an Army Captain and nurse from Penn Yan, and they moved to Massachusetts. Burling encouraged Jennie to further her education, and she earned a bachelor`s degree in education in 1964. 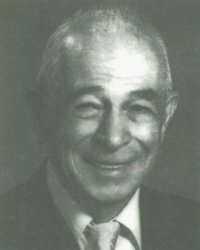 Burling also returned to school and earned a master`s degree in 1960, about the same time he retired after 33 years with New England Telephone. He then began a second career teaching at a variety of levels and also was a school psychologist and guidance counselor. He taught for five years in Massachusetts before he, as he says, "retired for good." It is very sad to write that this fine gentleman has passed away -April 2003. His contribution to the memories of the West Point story has been most valued. Condolences are sent to the many people who knew him, especially Dodie West who greatly assisted Cmdr. Burling to present his story. 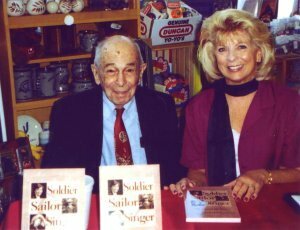 Dodie Frost and Commander D. Burling at a recent book signing. This book recalls the story of three lives that cross in WWII onboard the USS West Point (America\Australis). "The Soldier, the Sailor and the Singer" follows three people whose lives become intertwined for a lifetime. It's written by Dodie Frost and 100-year-old Cmdr. Donald O. Burling, a retired U.S. Navy Reserve officer and WWII veteran. Editorial Reviews: about three extraordinary lives connected by a long-distance friendship for two decades. The soldier is Captain Jennie Calhoon Burling, U.S. Army Nurse Corps who met the sailor, Commander Donald O. Burling, USNR, on a troopship bound for Bombay during World War II. The singer is Dodie Frost, whose lyrical voice and ability to creat the right tunes for Burling's words captivated him. In 1982, the Burlings asked Frost to record a country gospel album for them in Nashville. It was the beginning of their formal collaboration. As she received detailed handwritten letters from these senior friends she never met, Frost realized what astonishing lives they had lived and continued to live in retirement. She discovered that the Burlings were educators, prolific writers and had each been published. Both were interested in theology and the Bible - Jennie Burling read it eleven times before her death. (The book is dedicated to Captain Burling) Jennie was often called upon to give talks about her assignment with the Army Nurse Corps in 1943 in Iran. Her account is included in the book as is Commander Burling's five year tour of duty in the U.S. Navy in the Pacific. Burling and Frost discovered in their correspondence that both shared an uncanny coincidence of events in their lives. In their revelations through correspondence Burling navigated troopships through the Pacific during WWII and Frost, the daughter of Master Sergeant Frederic Frost, veteran of WWII and the Korean War, traveled on troopships during the Korean War to and from Japan. The book reveals true accounts of real life events of love of country and dedication. The collaboration of Commander Donald O. Burling USNR and Dodie Frost, singer, songwriter, entertainer and recording artist comes together in this validation of quality friendships. A story that had to be written and shared with readers who want to see the world the way it was during Wartime for these three friends who never met face to face but learned much about each other through their correspondence; enough to write a book about it. Many thanks to Dodie Frost for her contributions to the site.